The Books by Kids Foundation is a Florida-based non-profit organization that facilitates the production of childrens books that are written and illustrated by kids in select communities. The A to Z Series® is the first in a series of books to be launched by BooksbyKids.com. 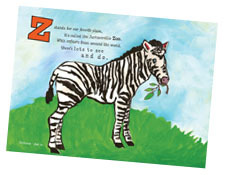 In the Our City from A to Z Series®, local students and hospitalized children create a book that is sold in each community to raise funds for area non-profit organizations. Each page of the book describes a city landmark, characteristic or historical figure beginning with each letter of the alphabet. The books are written by local students and illustrated by hospitalized children. Each book is hardback, full-color with a glossy cover wrap and reflects the beauty of each city through the eyes of local children. A minimum of 5,000 books are published and distributed per market. In cities where there is a corporate sponsor, BooksbyKids.com will contribute 100 percent of the net sales proceeds (after all expenses) to local child-based non-profit organizations. Visit our recent media interviews to hear more! 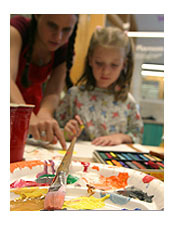 Art can play an important role in healing childrens bodies and spirit. When children create something for public display and/or purchase, they achieve a sense of pride and accomplishment. Children can learn from other children. All communities have interesting characteristics and assets, which can be promoted to help the community at large. Learning about the assets of a community boosts civic pride. BooksbyKids.com can provide a unique marketing vehicle for local attractions and facilities. 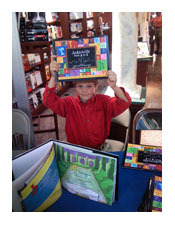 BooksbyKids.com can provide great exposure for the participating sponsors and non-profit organizations. Books created by BooksbyKids.com creates a great legacy for local children, particularly those who are sick and vulnerable.